We are officially THRILLED to share some big (we mean BIG) news with you today! After literally years of work towards this goal, we’re honored and excited to announce that our HealThy Mouth Blend is made from 100% (yep, 100%) certified organic ingredients, and it now proudly sports the official USDA certified organic logo!! Since you’re like us and into healthy living, you probably already know that products made with certified organic ingredients are better for us. However, just in case you’re new to the benefits of organic, we’ll share some of the many reasons why organic is better. Then, we’ll explore some high points about our HealThy Mouth Blend. When Susan and I began eating organic foods many years ago, there really wasn’t much science behind the superiority of organic products. However, now there are decades of research that clearly shows that organic products are superior for several reasons. Plants that are grown organically are nutritionally superior. On average, plants grown organically contain 19-69% more phytonutrients (like antioxidants) than their conventionally-grown counterparts. Organic plants aren’t sprayed with heavy-duty pesticides and herbicides. Sure, there are natural pesticides that organic farmers will use. But the whole approach of organic agriculture is to grow healthier plants that are naturally more pest-resistant. This may be the biggest benefit of organic products. While increased nutrition is also important, we believe that avoiding GMOs is critically important for anyone seriously looking to reach for greater health and wellness. Why 100% certified organic ingredients? If you’ve been into healthy living for a while, you probably already know that in order for a product to qualify for organic certification, its ingredients must be at least 95% organic. In other words, up to 5% of the ingredients in a certified organic product can be conventionally grown. Our HealThy Mouth Blend has always been made of mostly organic ingredients, except for the wildcrafted manuka essential oil. This proved to be quite a challenge for us because, as you may know, manuka tends to be a wildcrafted (not usually farmed) plant. So, we were getting ready to submit an appeal to the USDA (and we were wishing someone had an administrative army we could borrow). But thankfully, after lots of searching, we finally found a company that produces certified organic manuka essential oil. All this to say that even though organic certification only requires 95% organic ingredients (aside from manuka essential oil 🙂 ), we chose to make our HealThy Mouth Blend from 100% certified organic ingredients. As we shared in our article ‘What’s in the healthy mouth blend and why is it so effective?’, the main function of our HealThy Mouth Blend is to help us balance our oral flora and so we can be a good conductor of the symphony of microbes in our mouths. Increased adhesion inhibition – the manuka oil makes it more difficult for thug bugs–and the plaque that they create–to adhere to the surfaces in our mouths. Disrupts quorum sensing – the clove oil scrambles the communication between thug bugs, making it more difficult for them to work together. Balances oral flora – the blend targets specific thug bugs without compromising the diversity of the oral microbiome. Reduces plaque formation – the blend helps us maintain thin plaque biofilms. Increases saliva production – the essential oils in the blend temporarily stimulate our salivary glands, causing the glands to produce some saliva (and saliva is critically important for remineralizing teeth and stopping tooth decay and gum disease). If you’d like to take a deeper dive into this, be sure to check out our article, ‘Are essential oils bad for the mouth?’ In it, we explore what the scientific literature really says on the risks vs. benefits of essential oil-based oral health products. We’ve identified 4 main ways you can use the HealThy Mouth Blend (did we mention it’s made with 100% certified organic ingredients? 🙂 ), to help optimize your oral health. Brush – Just add a few drops to your toothbrush bristles and brush as normal. Here’s a video that discusses the benefits of brushing with our Healthy Mouth Blend. Floss – Add a drop to your floss so that as you’re flossing, the blend gets a little deeper into the gum pockets. This is the MOST powerful strategy for anyone dealing with gum disease. Here’s a quick video tutorial that shows how to apply HealThy Mouth Blend to your floss. Swish – Simply add a drop to a shot glass of water and you have a simple yet powerful mouthwash alternative. No separate mouthwash products necessary! Direct massage – If you know you have a stressed area on your gums, placing a drop on your finger and gently massaging the stressed tissue can make a world of difference. This can be great after a rough visit to the dentist, for calming abscesses that are trying to erupt, and even for soothing cold sores! If you can stomach an old but still helpful resource, here’s a link to our vintage video that shows these 4 strategies. Feel free to experiment with the different strategies and just use the ones that best suit your needs. While we are blessed to hear lots and lots of ways that our customers benefit from using our blend, here are the most commonly discussed benefits. Stops bleeding gums – A complete blessing for anyone with advancing gum disease. Reduces (and sometimes eliminates) tooth sensitivity – While our other toothpaste alternative, Shine, is more geared towards eliminating tooth sensitivity, customers also regularly report that they experienced this benefit from using our HealThy Mouth Blend. Stops bad breath – The blend helps to balance the oral flora, and having a healthier microbial community creates fresher breath. Stops active tooth decay – Again, while OraWellness Shine is really our ‘go-to’ product for addressing tooth decay, many customers have reported that after consistently using the HealThy Mouth Blend, their dentist confirmed that the active decay they’d been experiencing stopped. If you’d like to read the tons of customer testimonials, here’s a link to our testimonials page. Our personal favorites are the ‘after the dental visit’ ones! 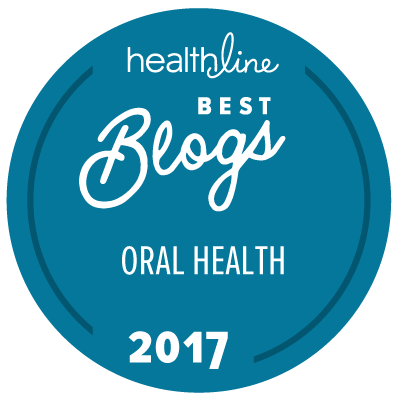 Let’s close this ‘3 cheers for the certified organic HealThy Mouth Blend’ article with the most common questions we get from customers about our HealThy Mouth Blend. Do I use the HealThy Mouth Blend with my normal toothpaste and/or mouthwash, or instead of them? It’s really up to you. The blend is intended to be an alternative to conventional oral hygiene products. Most folks brush with it instead of their normal toothpaste (and/or swish with it instead of their normal mouthwash), but there are some people who prefer to use the blend in conjunction with their other products. But we do like to encourage everyone to be mindful of (and choosy about) the ingredients in their oral hygiene products. Do I use the HealThy Mouth Blend with my OraWellness Shine, or by itself? Feel free to experiment and see what works best for you. Many customers enjoy using the HealThy Mouth Blend and Shine together, at the same time. But there are some folks who prefer to use one or the other, or one at night and the other in the morning, or to brush with the blend first and then with Shine, etc. Here’s a link to a blog entry that explains more on how to use the HealThy Mouth Blend and Shine together. How do I get the drops onto my toothbrush? Simply invert the bottle fully upside down over your toothbrush bristles (with the lid off, of course), wait 2 to 3 seconds, and the drops should begin to flow. Does the HealThy Mouth Blend damage the ‘good bugs’ in my mouth? We consider this to be such an important question, we’ve answered it several times. Are essential oils bad for the oral microbiome? Does the HealThy Mouth Blend kill the good bugs too? Is the HealThy Mouth Blend safe for children to use? This is another important question to answer thoroughly. Yes, our HealThy Mouth Blend is safe for children to use. But is it necessary? Most children find our blend too ‘spicy’ for their young mouths. We take this to mean that they probably don’t need the strength of the blend to help them navigate to greater oral health. Here’s the full FAQ answer. Anyway, thank you for helping us celebrate this milestone of finally achieving USDA organic certification for the HealThy Mouth Blend. It’s been a long journey for us and we couldn’t have done it without your support and encouragement along the way. Truly, without you here, we wouldn’t be doing this research and product development. Knowing that our work serves you along your path is such a fulfilling mission for us. P.S. If you have comments or something to add to the conversation, PLEASE share the comments section below! Fantastic news!! Congrats on getting the USDA Organic stamp!! Organic ingredients are important, whereas “certification”, is not necessarily (such as, in cases where the company can be trusted – like you guys!). The farm products I use, for example, are not ‘certified’ organic. However, the farm practices are organic, even biodynamic. Having used your products for years and being familiar with your practices – through your newsletters and articles, my ‘wonder’, which I didn’t see addressed, is: Will the new certification affect the prices? Congrats and thanks for a great product! Thanks for your supportive words here. We agree that the certification isn’t necessary provided that you know it’s a quality, clean product as in the case of farm, etc. However, for us to help more people and reach a broader market of people who don’t already know our brand, we think the certification will help. For clarity, it’s the same formula as we’ve always used organic ingredients (other than the manuka like the article details). So, to directly answer your question, no price changes or anything like that. It’s just a certification formality for us and one we’re really glad to have reached. Congratulations! It’s a great product deserving of the recognition and certification. So pleased for you and customers too. Congratulations! I am sure the process for obtaining the certification was hard work. Well done! Congratulations! Yours is a wonderful product and attaining that certification is a great accomplishment for further promoting your work, products and research! Thank-you to you both!! Finally, a toothpaste alternative made from 100% certified organic ingredients! Balance your oral flora today! Once you begin using this product you won’t want to ever use anything else! For the first time in years there is no inflammation or soreness in my mouth.